Jonathan David Conant - Mediator based in Prescott, Arizona. If you’d like a list of available dates for Jonathan Conant, please submit a request below. You will hear back directly from Jonathan's assistant, Robin. Jonathan was born in Cleveland, Ohio, in 1960. He was educated at the Ohio State University as a Civil Engineer and received his Engineering Degree with an emphasis on Construction management. He worked in the commercial construction industry from graduation from High School through his receiving his law degree from the Cleveland State University Law School gaining invaluable practical knowledge. He became licensed as an attorney in Ohio in 1987, and relocated to Florida seeking out construction related issues in litigation. He worked on the East Coast of Florida for a number of years, before relocating to Fort Myers, Lee County, Florida where he practiced law in the fields of Commercial and construction litigation, real estate litigation, bankruptcy, personal injury and finally, workers' compensation and Employment related issues. 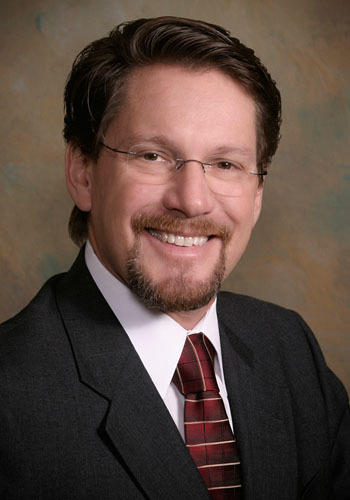 Jonathan became certified by the Florida Supreme Court as a mediator in early 1997. In 2009 he became licensed to practice law in Arizona, and established an office in Prescott, Arizona with a satellite office in Kingman, Arizona. His professional practice is limited to representation of parties in adoptions, and families and foster placements in juvenile proceedings. Mr. Conant has been in private practice as a Mediator on a full time basis since March of 1997. He is the founder of the Conant Mediation Center, a private mediation facility that was the first such private mediation facility in Lee County, Florida opening its doors in 1997. Since that time, Mr. Conant has participated in well over 5000 mediations. Mr. Conant maintains a primary office in Prescott, Arizona. He is routinely available for mediations through the state of Arizona. Received a BSCE from the Ohio State University in 1982, with an emphasis on Construction Engineering and structures. Received a JD from the Cleveland State University in 1987. Became certified as a Cicuit and County Court Mediator in the State of Florida in 1997, and is qualified as a State of Florida Arbitrator. Previously Certified by the International Comission on Health Care Certification as a Medicare Set-Aside Consultant. $250.00 per hour, scheduled in one-half or whole day increments. No travel time is charged, nor do time charges accrue for preparation work including the review of mediation statements or conversations with counsel. Please see website or contact us for more information. Special billing considerations and agreements will be entertained upon request. Bills will be issued to the parties at the time of the scheduling of the mediation. Payment is expected two weeks in advance of the Mediation conference. Please see website for more information. Generally, ten (10) business days' advanced notice is required to avoid a cancellation fee equal to the minimum billing. Please see website for more information.